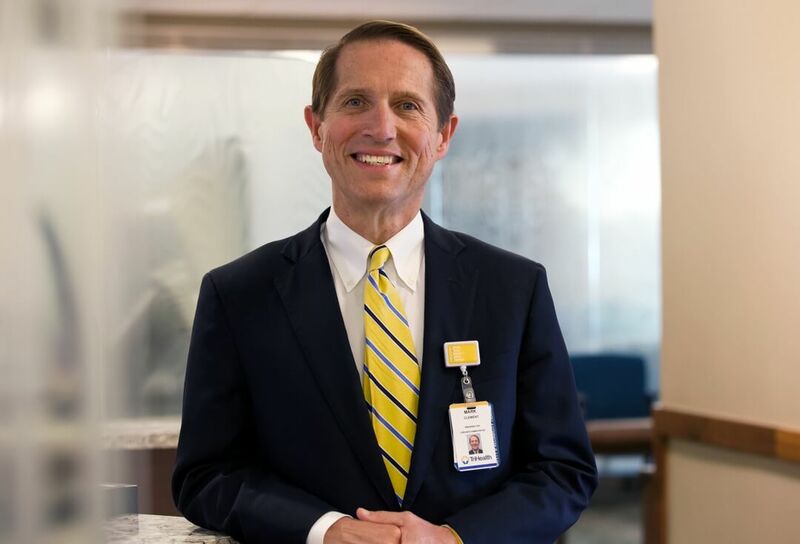 Like most healthcare executives, Mark Clement, the CEO of Cincinnati-based health system TriHealth, knows that, to succeed, he has to lead his organization to adopt and expand value-based care. Working closely with Anthem, the market leader in payment innovation, TriHealth has taken the leap, delivering value-based care to thousands of patients in Ohio—including its own employees. 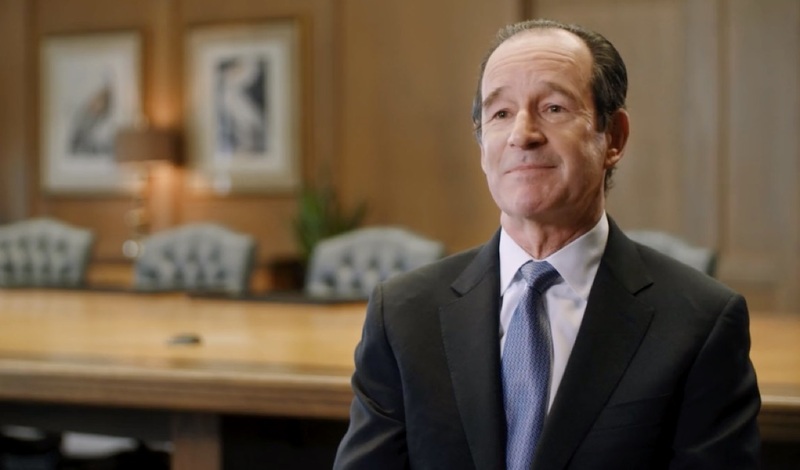 Like most healthcare executives, Mark Clement, the CEO of Cincinnati-based health system TriHealth, looks for ways to get healthcare right through the “Triple Aim” of better health, better care, and better value. Working closely with Anthem Blue Cross and Blue Shield of Ohio, Mark’s team has been improving the quality of care for thousands of patients while lowering costs for employers—including TriHealth itself. Key to their success: Anthem’s centerpiece value-based care program, called Enhanced Personal Health Care, which provides market-leading data sharing with TriHealth’s population health team to flag gaps in care, opportunities for process improvement, and cost savings for patients. “We’ve been able to show dramatic reductions in healthcare costs for our own 12,000 employees, while improving their health and productivity,” Mark says. “It really does work.” Enhanced Personal Health Care (EPHC) shifts spending from a traditional “fee for service” approach to one that promotes prevention and care coordination. Primary care providers at participating health systems, such as TriHealth, gain access to advanced analytics that help them pinpoint the patients who can benefit from interventions, better manage chronic conditions, and identify gaps in care that can have serious health ramifications. The Anthem-TriHealth partnership, which began in 2014, supports primary care providers through payment incentives used in coordinating, planning and managing patient care. A portion of the cost savings is returned to TriHealth, which can then be invested in preventive health and chronic disease management programs, as well as care management and coordination. Anthem returns another portion of the savings to employers, and the remaining cost savings help control increases in health insurance premiums. Approximately 66 percent of Anthem’s total medical spend is tied to payment innovation programs, and EPHC is among the largest private value-based payment program in the country for providers participating in commercial, Medicare and Medicaid segments. EPHC now includes 166 accountable care organizations and 87,000 providers. And under the standard Commercial EPHC program, providers manage 6.3 million lives and have, since 2014, accumulated $1.8 billion in gross savings for Anthem clients across the country. TriHealth is far from alone in understanding the importance of value-based care. Enhanced Personal Health Care providers across the country credit EPHC with creating a path to success under value-based care. 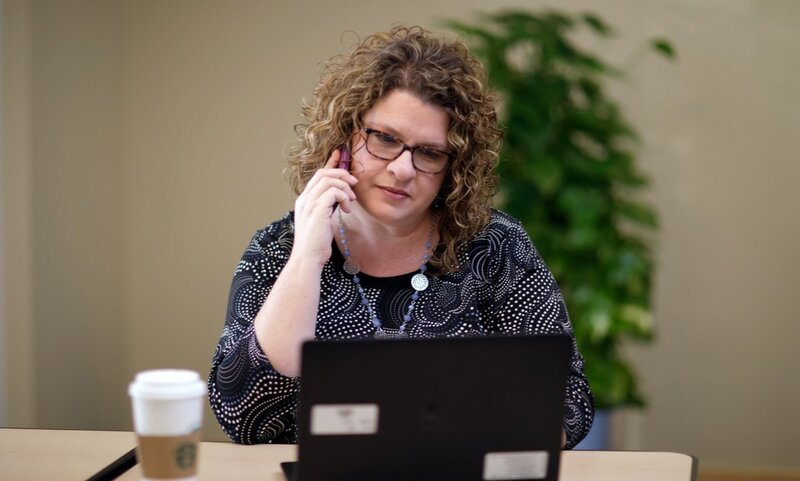 “Without the incentives and support we received from EPHC, we wouldn’t have been able to enhance our operations the way we have,” says Jennifer Sharp-Warthan, M.D., Medical Director of Tidewater Physicians Multispecialty Group in Virginia. Now Anthem is taking EPHC to the next level by creating a new payment model and product called Cooperative Care—a program designed to deliver a markedly better consumer experience by relying on a high-performing network of providers. IngenioRx, Anthem’s new pharmacy benefit manager (PBM), has a bold mission to restore trust and confidence in pharmacy benefits and allow clients, and their consumers, to reclaim the power of pharmacy. 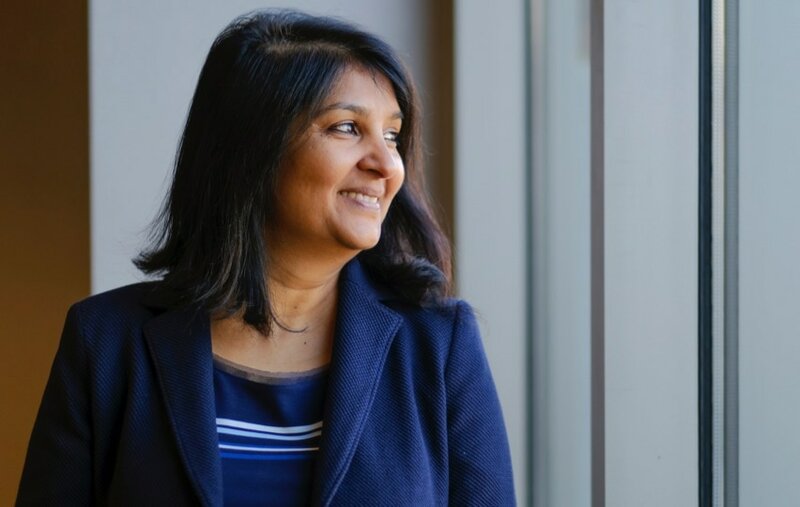 “We think it’s time to expect more from pharmacy care, and we will deliver solutions that will surpass those expectations,” said Deepti Jain, leader of IngenioRx. Consumers and plan sponsors alike are frustrated by seemingly misaligned incentives and a lack of transparency regarding prescription medicines. Pharmacy care in the U.S. has strayed from being one of the most cost-effective tools in the healthcare system to a runaway train of escalating costs. IngenioRx wants to change that. Because IngenioRx is being built to reduce total cost of care, focus on the whole person, and simplify pharmacy care for consumers, Deepti believes we will be in a position to address the unmet needs of current Anthem customers as well as enter new markets. It’s also a great example of Anthem’s mission in action—Improving Lives and Communities. Simplifying Healthcare. Expecting More. IngenioRx’s comprehensive new suite of pharmacy programs will launch in the second quarter of 2019. With IngenioRx, we are unlocking tremendous value for our shareholders as well as our clients and their consumers. It is expected to deliver at least $4 billion of gross pharmacy savings annually—80% of the savings will flow to customers in the form of more affordable healthcare. Moreover, at least 20 percent of this value will accrue to Anthem shareholders. “We will offer new, innovative approaches to pharmacy care management, and make pharmacy easier to understand,” says Deepti. As an example, through new mobile and desktop applications, consumers can access and manage pharmacy and medical information in a single location and use helpful online tools to find a doctor or a pharmacy, refill a prescription, and learn about drug costs. All pharmacy members will have access to 24/7 member support, and our specialty members will have access to pharmacists for urgent or disease-specific issues. Additionally, IngenioRx is developing new capabilities that will bring medication insights to the exam room to support providers in their prescribing decisions and make them aware of potential gaps in care. “Anthem used their market expertise, their data and their connection to their fellow Blue plans to deliver a solution that addressed our challenge as a business, which, ultimately, will mean better healthcare for our employees.” As vice president for Global Benefits and Wellness at PepsiCo, Erik Sossa is responsible for managing health benefits for the thousands of people who work for the food and beverage giant. As they planned benefits for 2019, Anthem and PepsiCo faced a challenge: Dallas-Fort Worth. Medical costs for employees who worked in the north Texas area were running far above the rest of the country. An analysis by the Health Care Cost Institute found that costs in the Dallas-Fort Worth (DFW) area were above those in New York City, and about 19 percent higher per capita than the national average. When emergency room costs in the DFW area rose by more than 30 percent in 2017, the cost problem was enough to prompt an all-hands-on-deck approach in 2018, as the company and Anthem began planning 2019 benefits. “This was an issue bigger than one company — we were able to leverage Anthem’s data insights and benefit design know-how, but we also needed the local market expertise that Blue Cross and Blue Shield of Texas could bring to the table,” said Lindsey Watson, a staff vice president of network optimization at Anthem who was part of the team working to create a solution for PepsiCo. The other crucial piece of the solution came from PepsiCo itself: a willingness to think creatively about benefits. The solution was differentiating and effective: If local employees and their covered partners agreed to use select, high-performing doctor groups for primary care, PepsiCo would reduce premiums. Anthem and BCBS of Texas identified the select groups using market analytics, claims data and network expertise. These are efficient and high-quality groups, meaning that every care provider option is a good one. During open enrollment, more than 5,200 employees and their family members participated, exceeding PepsiCo’s target for the first year. The Dallas-Fort Worth experiment is a sign of what’s to come for Anthem and its affiliated Blue Cross and Blue Shield plans, which serve nearly 106 million people in the U.S., approximately one in three Americans. “As Blue Cross and Blue Shield plans, we share the goal of providing access to quality, cost-effective healthcare for our customers. 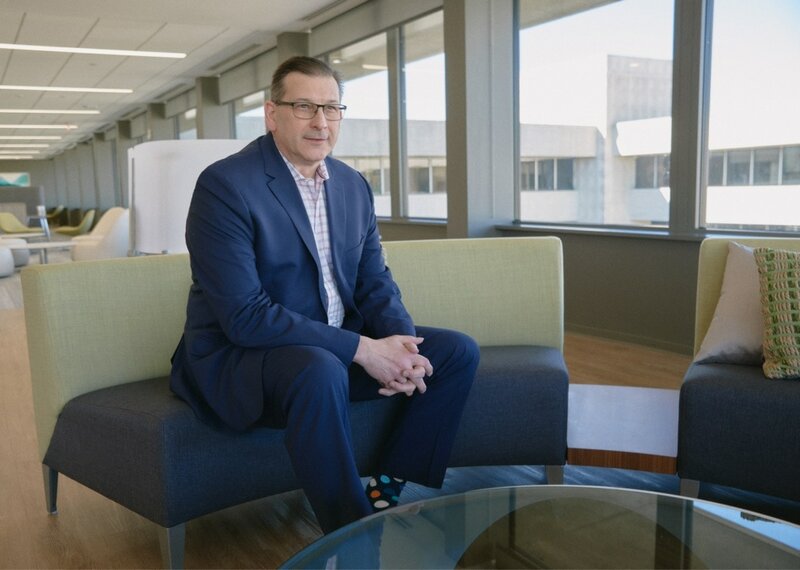 Delivering impactful results for PepsiCo is one example of what can be accomplished by working collaboratively to better serve Blue Cross and Blue Shield customers,” said Rick Haddock, vice president of network management at BCBS of Texas. 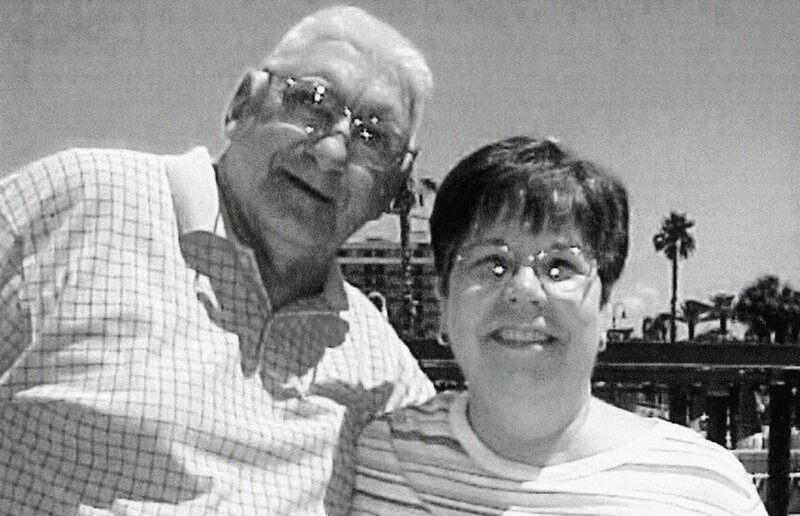 Maria had been diagnosed with congestive heart failure. But thanks to CareMore’s innovative delivery model, she has been able to stay out of the hospital—nurturing her health, and her beloved garden, at home. The CareMore model was designed to help lower the burden of chronic disease and slow the progression of illness. Through this model, Anthem delivers integrated, whole-person healthcare to improve lives and outcomes for patients like Maria who have an increased risk for health complications. 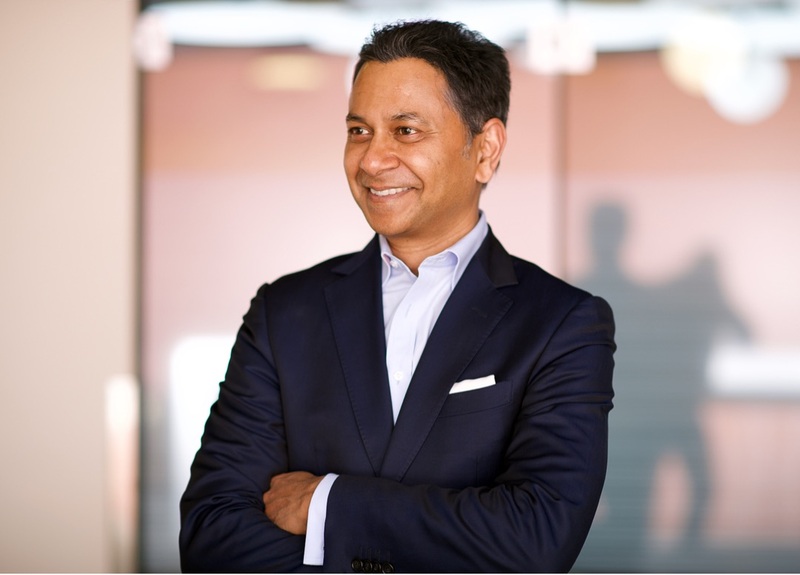 Rajeev Ronanki, chief digital officer, was hired in 2018 to lead digital and exponential technology initiatives across Anthem. His goal: use data, technology and artificial intelligence (AI) to deliver more personalized care that achieves better health outcomes. Why AI? Because the explosion of information and data used to understand customer and consumer needs has exceeded the human capacity to process it. With AI, organizations can use data to help consumers be more proactive about their health while generating insights in real time to improve outcomes. In fact, Anthem is developing new analytical methods to identify gaps in care, understand a consumer’s propensity to develop a disease, and provide targeted solutions. These methods are based on each individual’s specific characteristics (past utilization, clinical co-morbidities, etc. ), rather than on population-based studies and clinical trials. Such predictive analytics help identify unknown risks (not identified by traditional clinical analytics), break down data silos, and allow for preemptive actions that can prevent or mitigate health problems and lower the cost of care. “We are striving to help consumers stay healthy, improve clinical decision-making, and drive patient engagement and better outcomes,” Rajeev explains. Predictive analytics have helped to identify the opportunity for about 60 clinical programs across Anthem and enabled these programs to target the right members with the right interventions—including models that predict the likelihood of a patient having an unplanned hospital readmission in the next 60–90 days. And results have been promising: Implementation early on has led to a reduction in 30-day hospital readmission rates by 30 percent using our medical/surgical model and 15 percent using our behavioral health/substance abuse model. Another predictive model identifies the 15 percent of avoidable hospital admissions related to chemotherapy that can be circumvented by helping consumers better manage challenging side effects. Providers can now identify these patients and help them avoid hospitalization. Ohio Hematology Care (OHC) was a case in point. When Anthem helped OHC identify those patients at risk for a hospital visit, care teams proactively checked on their status. 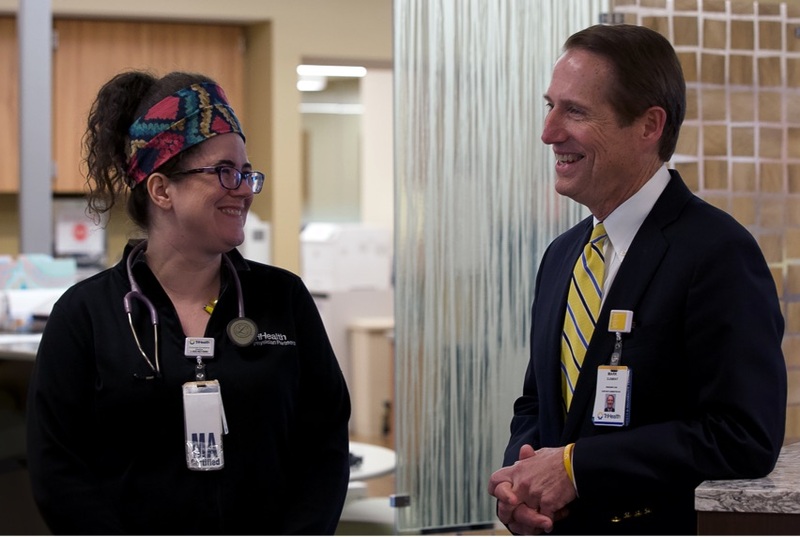 “As a leader in high-quality cancer care that emphasizes the importance of providing the right care at the right time and right place, we were pleased to work with Anthem on their cancer patient risk pilot,” said Karyn M. Dyehouse, M.D., OHC’s chief medical officer. Through efforts like this, we are doing what we can to help patients stay out of the hospital. You can certainly understand why Rose worried about taking care of her husband Joseph. He struggled with an array of serious, chronic health conditions including congestive heart failure (CHF), chronic obstructive pulmonary disease (COPD), chronic kidney disease, coronary artery disease after bypass surgery, type 2 diabetes, atrial fibrillation, and pulmonary hypertension. The support came just in time. Soon, Joseph’s CHF worsened, followed by a bout of acute bronchitis. Thankfully, the Aspire nurse practitioner, in coordination with Joseph’s primary care physician, successfully treated him at home. Rose was relieved because Joseph desperately wanted to stay out of the hospital. Not long after that, Rose realized she no longer had the strength to bathe her husband, so the Aspire team arranged to provide her with caregiver support. As Joseph’s CHF and COPD worsened, the Aspire team saw Joseph regularly and began to work together to achieve their goal of maximizing his comfort at home. Joseph and Rose’s experience is not uncommon. Patients and their loved ones can breathe a sigh of relief, knowing they’re getting expert, personalized care with a human touch. Studies have repeatedly demonstrated that advanced illness programs can provide high patient and family satisfaction, reduce hospitalizations, and decrease costs of care, while meeting patient needs as their condition progresses. Ninety-seven percent of Aspire patients have had an advanced care planning discussion in the past 90 days, and 83 percent have completed a formal advanced care plan within 90 days of beginning care. Anthem’s expanded integrated clinical capabilities give the company a national footprint to meet the needs of the sickest patients, manage and slow disease progression, and deliver palliative care support. Aspire, together with CareMore Health, offers a continuum of care in the appropriate setting, whether it’s a hospital, skilled nursing facility, clinic, or home. Limited access to healthy food is a growing problem. Watch how Megan meets the challenge by helping her third-grade class in Indianapolis grow fruits and vegetables, along with activities that reinforce academic learning and healthy eating. Later, you’ll meet Ronald, who has made the difficult transition from prison to a hopeful future, thanks to one of many Anthem programs focusing on the social and societal determinants of health. Green Bronx Machine, in partnership with Anthem, helps students in food-insecure areas transcend economic and cultural barriers. By teaching them how to grow, eat, and enjoy vegetables, this program helps set kids on a path to incorporating healthier food and behaviors into their lives. 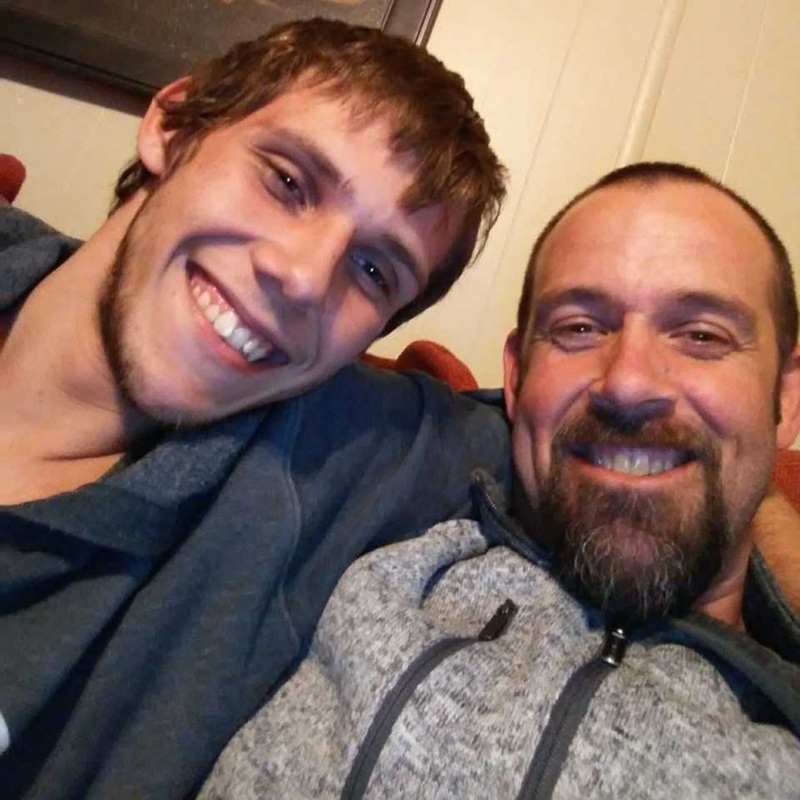 As a single father, Ronald devoted his life to raising his son. However, he got caught up in substance abuse and made some bad decisions that sent him to prison. His whole world collapsed. When he became eligible for release, he had no idea how to get his life back. But he remembered meeting an Anthem associate during his incarceration who talked about a program called Pathways Forward. Now he’s on the path to a new life that includes the most important thing in his world—his son. Pathways Forward, a pilot program developed in 2018 by Anthem and the Nevada Department of Corrections, offers a structured plan to transition former inmates back into the community with support around healthcare, short-term housing, employment training, transportation, access to social services, and re-establishing personal relationships. While the program is still in its infancy, 77 percent of participants are already employed and 100 percent have started the reunification process with family and loved ones. This program is just one example of how Anthem is distinguishing itself in its effort to reduce or eliminate social barriers—like unstable housing, food insecurity, or unemployment—that negatively impact the health of many Americans and their communities. Investing in new programs and partnerships, including those that increase the capacity of community-based organizations, is key. Over the past decade, Anthem has committed more than $380 million to address the social determinants of health through the development of safe and affordable housing for low-income families and individuals. By working with organizations to build and refurbish low-income and supportive housing, create housing flex funds, and help with day-to-day housing costs for vulnerable consumers, Anthem is helping to improve the lives of some of the nation’s most vulnerable, including youth transitioning out of foster care and people with behavioral health needs. Something as commonplace as transportation can also be a significant barrier to health. That’s why Anthem’s CareMore Health formed a partnership with Lyft, the ride-sharing company, to help its Medicare Advantage patients. Many of them are poor, elderly, and chronically ill and tend to forgo medical care because they don’t have access to reliable transportation. CareMore’s research showed that after partnering with Lyft for non-emergency medical transportation services, 92 percent of the rides were on time; 98 percent of consumers felt satisfied or very satisfied with the support; and the rides cost 39 percent less, on average, than other services. By helping to overcome these and other social barriers, Anthem remains committed to improving lives and communities. Reflecting Anthem’s focus on the whole health of every consumer, our Whole Health Connection program integrates dental, vision, pharmacy, life, disability, and supplemental health plans with medical coverage designed to offset the fragmentation in today’s healthcare system. Using advanced analytics, we are able to help care providers identify and close gaps in care, lower costs, and deliver a better healthcare experience. That means identifying potential health problems earlier, addressing critical medical concerns faster, receiving alerts when problems arise, and tracking preventive care so healthy patients stay well. 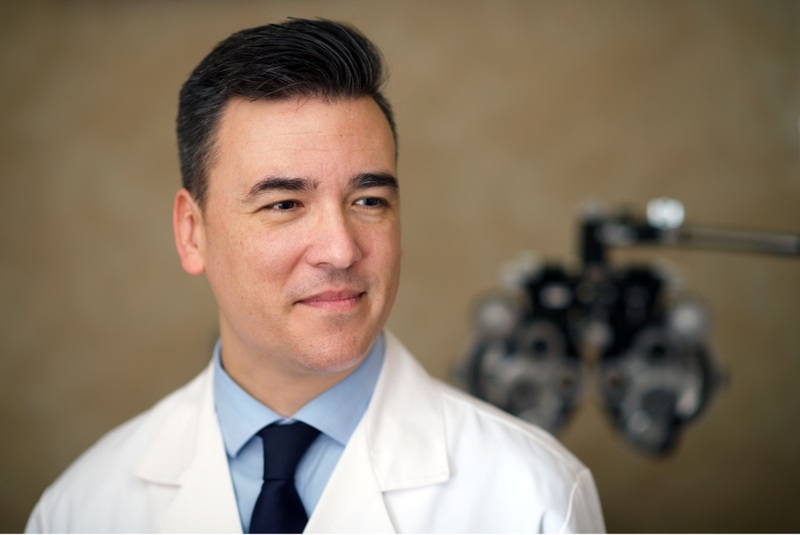 Dr. David C. Ardaya, an optometrist at Golden Optometric Group in Whittier, CA, understands this perfectly—as one of many eye care providers who collectively identified more than 30,000 people with diabetes through eye exams last year, thanks to Anthem’s Whole Health Connection platform. Because optometrists can access clinical data through this innovative platform, they can help determine whether a patient’s eye condition is linked to chronic diseases like diabetes, cancer, heart disease, or even to the medication they are taking. In 2018, Anthem was able to close more than 2 million gaps in care where consumers had not completed preventive or therapeutic dental or vision services within the recommended time frame. And by educating our dental providers, we saw the number of dental opioid prescriptions drop by 21 percent since 2016. With this kind of integration, including relevant pharmacy interactions, care providers are connected and have access to their patients’ relevant medical data, which makes healthcare work better. When providers discover a medical concern, the information doesn’t just sit in a chart. Advanced analytics are applied to that information and used to identify appropriate clinical programs to address a patient’s needs. Anthem goes “above and beyond” for partners and consumers. Watch as a Medicaid case manager helps a veteran pilot realize his dream to fly one more time, despite his advanced years. 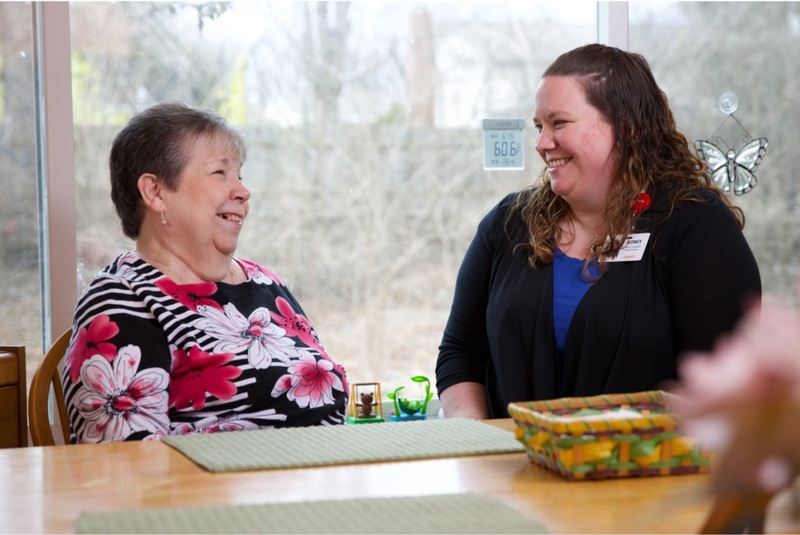 Leah Vice is a dedicated Anthem registered nurse case manager based in Louisville, KY, working with seniors every day to help them maintain their health and independence. 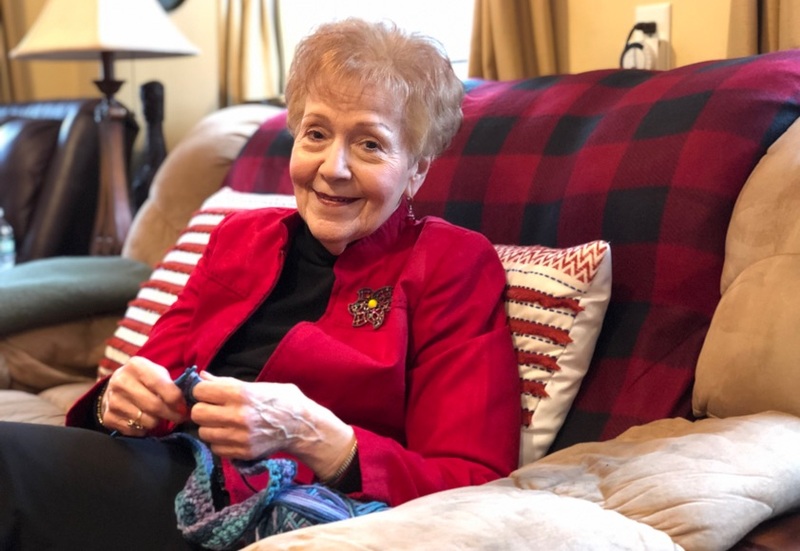 “To create a better healthcare future, we’re thinking differently to develop innovative support services for aging seniors, especially those on fixed incomes, who are managing chronic medical conditions,” she says. That’s why Anthem became one of the first health benefits companies to provide social and support benefits in many of the Medicare Advantage programs offered by its affiliated health plans. These services include healthy food delivery, personal home-helpers, exercise programs, support for social isolation, and health-related transportation—depending on need. Helping seniors remain independent is also the goal of a program called Aging Mastery® from the National Council on Aging, sponsored in part by Anthem. Aging Mastery is designed for millions of older adults to help them improve their well-being and strengthen ties to their communities through goal-setting, daily practices, and peer support. “Walmart is committed to making healthcare more affordable and accessible, and we are in constant pursuit of new ways to deliver on this commitment. We are excited Anthem consumers can use their allowance on the products they need.” — Sean Slovenski, Senior Vice President, Health and Wellness, Walmart U.S.
Anthem has also forged a collaboration with Walmart, that will help consumers improve their whole health and increase access to everyday health-related items by leveraging the retailer’s commitment to low prices. Individuals enrolled in Anthem-affiliated Medicare Advantage plans offering an over-the-counter allowance can use that benefit to obtain products such as first-aid supplies, pain relievers, support braces, and shower stools in stores and/or through online channels to help them take advantage of Walmart’s low prices. With more than 90 percent of Americans living within 10 miles of a Walmart store, this initiative is expected to be important for older adults, many of whom rely on Social Security benefits and seek more value for their money, as well as a convenient shopping experience. Deeply engaged associates like Jeraud are what sets Anthem apart. On his own, Jeraud started a youth development and mentoring program, bringing training and caring to young people in his community who need a helping hand. It’s just the kind of dedicated volunteerism we support, and makes us proud. 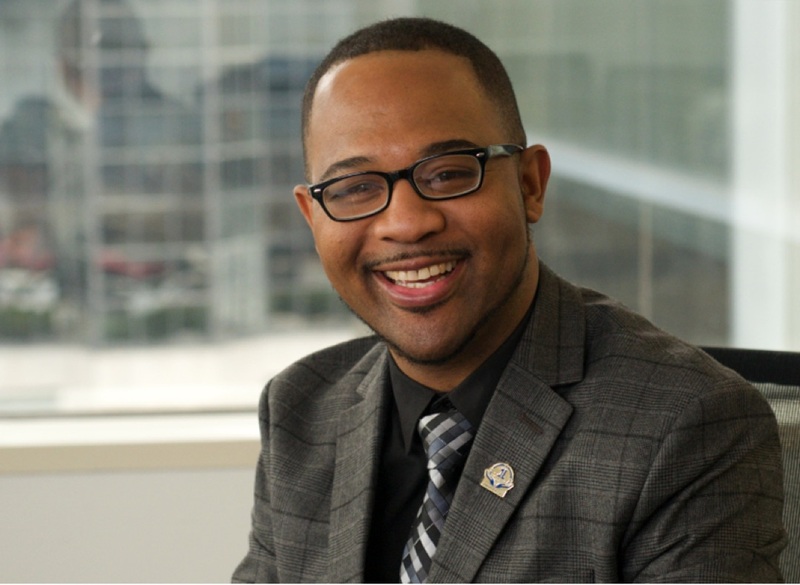 “Volunteering gives me joy, satisfaction, and fulfillment in knowing that I’m fortunate enough to be in a position to help people, working with others toward a common goal that will make a difference in the life of a child, a family, or the community as a whole,” said Anthem associate, Jeraud Ferguson. All year long, Anthem associates like Jeraud volunteer their time by working with organizations to address the needs of their communities. “Our people step up and lead—they live and work and play in our communities—and we don’t just drop in and out,” Jeraud says. Associates who are deeply engaged in this way are what sets Anthem apart. They understand and advocate for their communities, create personal connections with the right resources to support them, and develop a shared purpose to improve outcomes and alleviate their most pressing health issues. In fact, in 2018, Anthem associates contributed tens of thousands of hours to initiatives in their communities, with Anthem allowing them up to eight hours of paid time to volunteer at qualified charities. Associates can also earn financial rewards for volunteering that can be directed to nonprofits of their choice. As a caring member of its communities, Anthem supports many such programs, including its signature Anthem Volunteer Days and its ongoing response to natural disasters. In addition, Anthem’s Dollars for Dollars program provides a way for associates to support select nonprofit organizations with monetary contributions, especially those services that support the health and well-being of people across the country and in local communities. Through the program, the Anthem Foundation matches associates’ contributions dollar for dollar, up to an annual maximum match of $5,000. 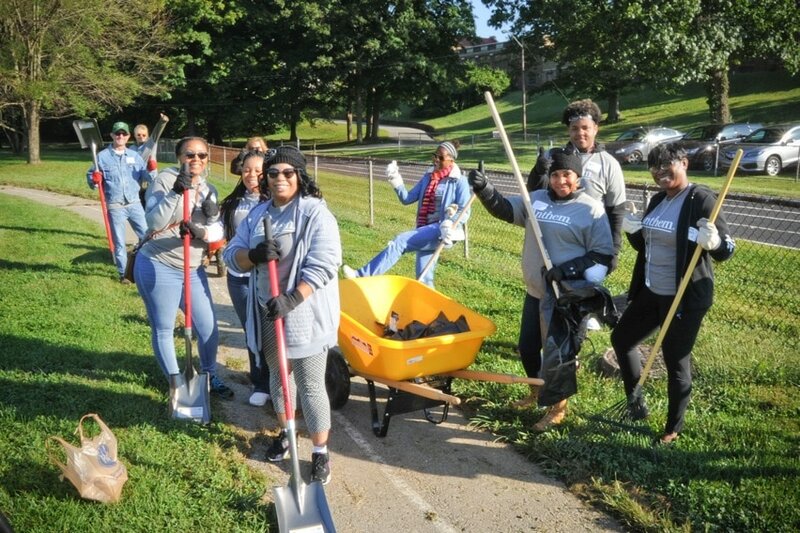 While volunteerism is promoted year-round, Anthem Volunteer Days is considered a “season of service,” a way in which associates build a healthier future by working to address the needs of the communities where they work and live. While daily contributions by individual associates significantly support the wellbeing of people in the community, associates can have an even greater impact when they work together as one company. During the seven-week campaign in 2018, the initiative helped charitable organizations in 30 cities across the country. More than 2,000 associates donated more than 76,000 volunteer hours to support 93 projects—from building community vegetable gardens and community revitalization projects to creating more than 12,700 hygiene kits for people in need, sorting over 83,000 pounds of food and serving more than 9,000 meals at local food banks. Disasters can be categorized in a multitude of ways, from times of personal hardship to natural disasters. In every case, we recognize that giving back to our communities and associates is not only a privilege but a responsibility. In addition to Anthem’s employee assistance fund, the Anthem Memorial Scholarship Fund was established, in the fall of 2018, to support secondary education expenses for children of our associates who lost their lives during their time of employment. This is an example of our continued commitment to providing appropriate, thoughtful responses when our associates and their families need support. Additionally, when communities are devastated by natural disasters, the company—and its associates—steps up to help people get back on their feet. In 2018, the Anthem Foundation’s partnership with the American Red Cross helped thousands of people devastated by the massive wildfires that scorched millions of acres in California and the six major hurricanes that hit communities across nine states and U.S. territories. 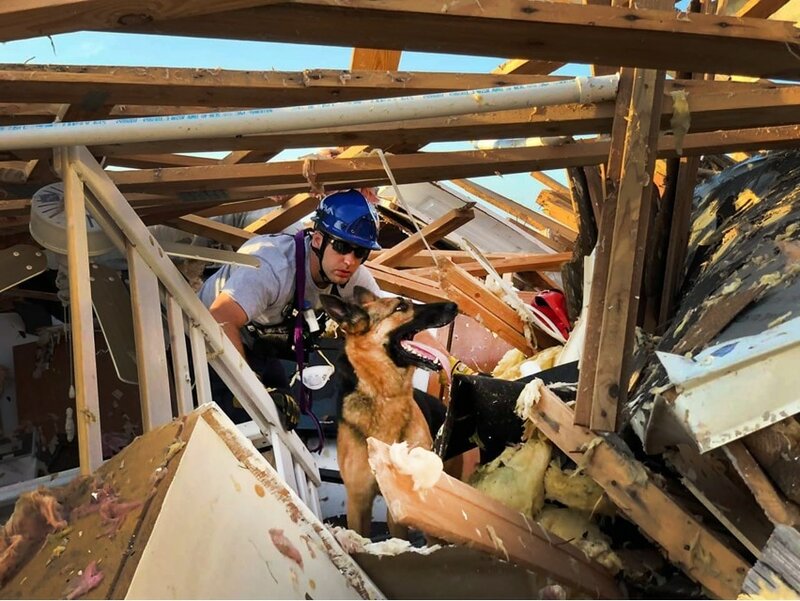 Andrew Piske, an Anthem tech project manager and former firefighter, along with his K-9 partner, Maddy, was part of the search-and-rescue crew that went door-to-door looking for survivors in the aftermath of Hurricane Michael. “Thanks to the associate volunteer program and supportive co-workers, I’m able to realize my dream of helping when our communities need it the most,” Andrew said. 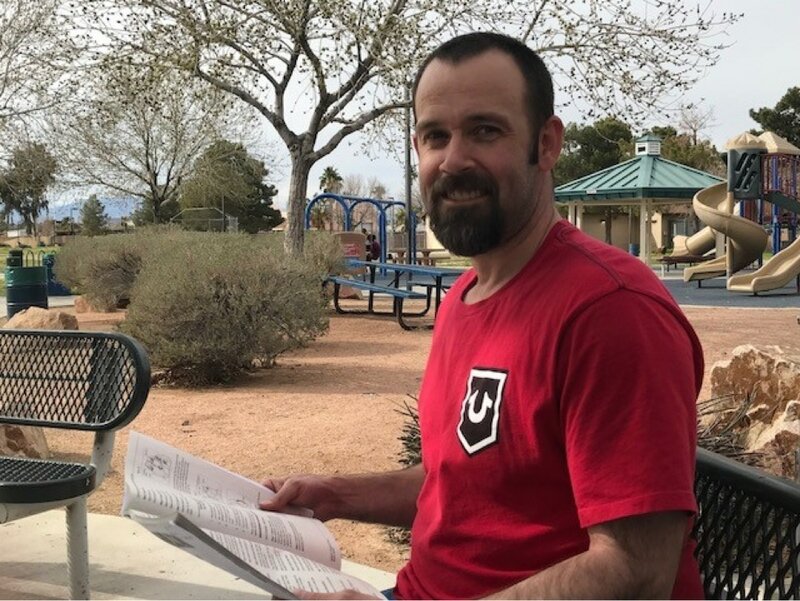 Associates like Andrew, supported by Anthem’s mission of “Improving Lives and Communities,” are proving that helping people in the community is a deep commitment. Anthem entered into a strategic joint venture with Blue Cross and Blue Shield of Louisiana (BCBSLA) to bring together expertise that would benefit hundreds of thousands of Louisianans participating in the state’s Medicaid programs. “This partnership is a natural fit for us because together we can improve the health and lives of Louisianans—about a third of whom are eligible for Medicaid—and potentially help lift the state’s poor ranking on many health indicators,” says Dr. I. Steven Udvarhelyi, president and CEO of BCBSLA. The collaboration, called Healthy Blue, is designed to serve Louisiana Medicaid participants with the right level of care, when they need it, including access to everything from wellness and prenatal care to behavioral health and smoking cessation programs, as well as regular primary and specialist care. The program even offers transportation to care providers, if needed. It has led, for example, to better management of chronic diseases, more prompt treatment for those with substance abuse disorders, and an 80 percent improvement in childhood immunization status. As one of the strongest brands in America, Blue Cross and Blue Shield serves nearly 106 million people—approximately one in three Americans. And Anthem has been working across the system to improve affordability and access to care. Working collaboratively and sharing a deep knowledge of the local healthcare environment is a cornerstone of these partnerships, given the opportunity to reach so many people. Quitting smoking is tough. But Dorise, a public housing resident in Milwaukee, not only quit with help from the Freedom From Smoking (FFS) program, but also became a champion for others who wish to follow in her footsteps. While the Anthem Foundation has partnered for years with the American Lung Association to help people quit, a smoke-free policy for all public housing locations that went into effect July 31, 2018, prompting the partners to expand the program to help people like Dorise quit smoking for good. Welcome to Anthem’s 2018 Annual Report. Across these pages you will meet partners, consumers, community members and associates who have been part of our journey in 2018 to impact lives for the better. The stories demonstrate our work to redefine what’s possible in healthcare—reducing cost, reinventing care delivery, personalizing the consumer experience, and engaging with partners to create change. We invite you to learn more.